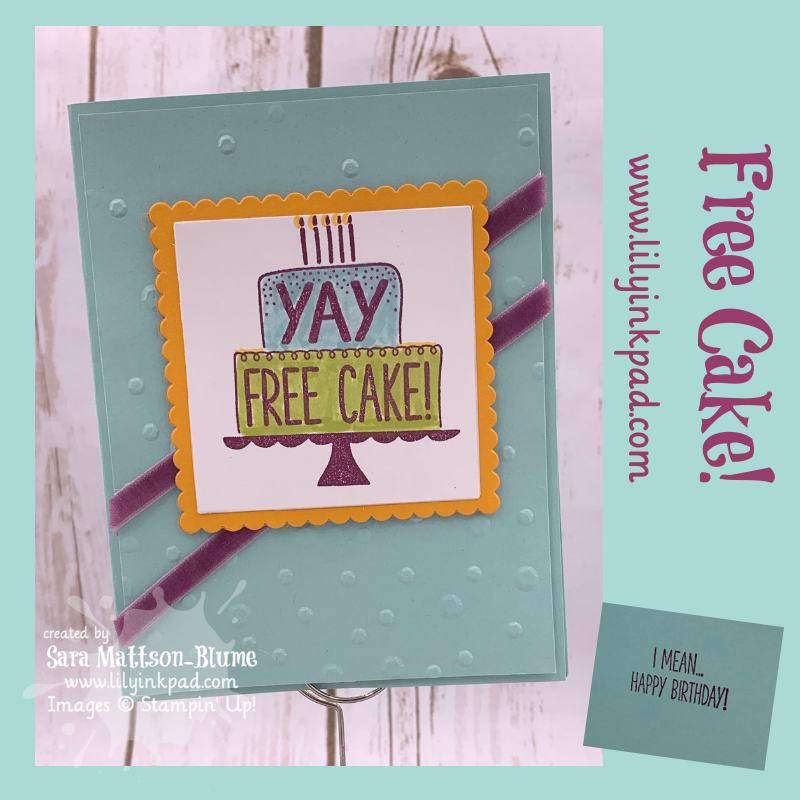 Lily's Ink Pad: My Inky Friends Design Challenge #12: Free Cake! My Inky Friends Design Challenge #12: Free Cake! Check it out! I finally had time to make a card! Around a never ending illness, hunting, holidays, and constantly redoing my lessons each night, I haven't been stamping. But, I got this card designed and photographed this week for the My Inky Friends Challenge! I just love the Free Cake Stamp Set. It's a little sassy and makes me think of my nephews. I finally got to use it on this card and I love the final product. I stamped the main image in Rich Razzleberry and used my Pool Party, Lemon Lime Twist, and Mango Melody markers to color. The square and matte are from the Squares Framlits. I added some dimension with the Sequin Dynamic Embossing Folder, and then added some velvet Rich Razzleberry Ribbon for some stripes. We had a great color challenge this month!